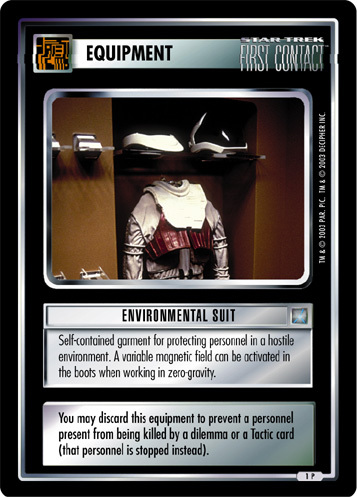 Self-contained garment for protecting personnel in a hostile environment. A variable magnetic field can be activated in the boots when working in zero-gravity. 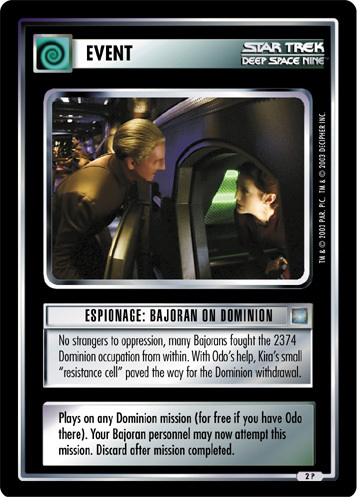 You may discard this equipment to prevent a personnel present from being killed by a dilemma or a Tactic card (that personnel is stopped instead).